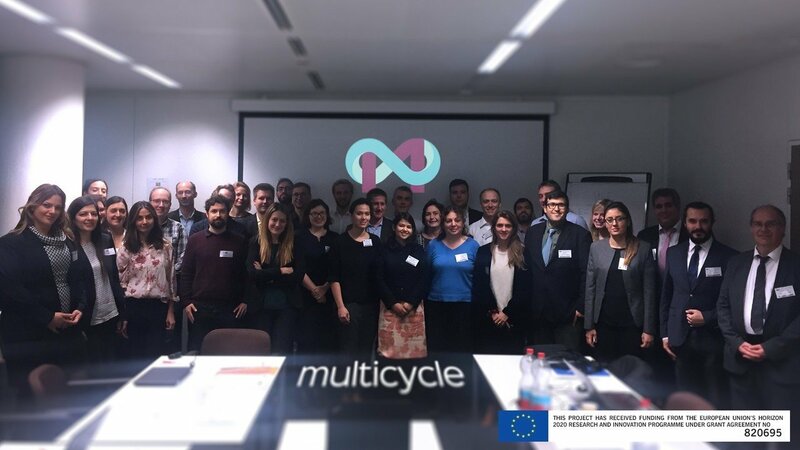 The MultiCycle project held a successful kick-off meeting in Brussels on 28th November. This new three-year EC Horizon 2020 Innovation Action will deliver an industrial recycling pilot plant for thermoplastic-based multi-materials allowing selective recovery of pure plastics and fibres from mixed wastes without downgrading as a key enabling step towards the realization of a circular plastics economy. The European Commision has recently published a Plastics Strategy where sets out a vision for “A smart, innovative and sustainable plastics industry”. This vision refers to cost-effective recycling, an expanded European recycling capacity, and a more integrated plastics value chain where the chemicals industry works closely with plastics recyclers to identify wider and higher value applications for recycled materials. 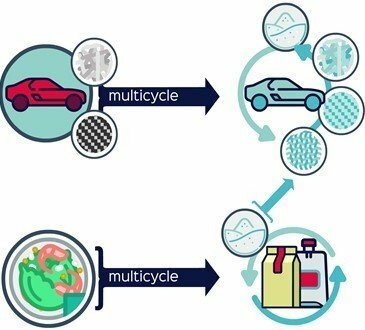 The MultiCycle project will make a significant contribution towards realizing this EC’s vision, stopping resource depletion, landfilling and incineration of valuable resources and demonstrating the shift to a circular economic model in two important industrial segments: – multilayer packaging / flexible films and fibre-reinforced thermoplastic composites in the automotive sector. The project is based upon the Fraunhofer IVV patented CreaSolv® process, which will be taken to pilot scale and digitised for industrial readiness. Subsequent processing and formulation of recovered materials into valuable products will also be optimized, and the project will evaluate the environmental, social and economic sustainability and techno-economic-environmental feasibility of the proposed developments. MultiCycle will be piloting the use of the SPRING project’s framework for the enhanced impact of SPIRE projects by addressing the needs and barriers of those who make the decisions to adopt process innovations in the industry. Have a look at the whole press release on the following link.